The most important meal of your day can also be the most delicious if you visit any one of these breakfast places in Mumbai. From Indian and continental breakfasts to artisan teas and cats for company, we’ve got some of the most popular breakfast spots listed below. Whether you want a quick bite or a leisurely lazy breakfast, there’s something to suit everyone. So, wake up and shake up your routine by checking out these 20 breakfast spots. One of Bandra’s most famous Irani chai cafes, Good Luck offers a selection of simple yet delicious breakfast options. Their kheema and omelettes are some of the most popular items on the menu. They are known for their sweet tea, but their coffee (served in a simple paper pup) is good, too. With bench seating and a relaxed atmosphere, you’re more than welcome to stop by here straight after your morning run. Insider Tip: Try their jam and cheese sandwich for an old-school treat! Don’t have any company for breakfast? No problem because this café has dozens of cats waiting to hang out with you. You can enjoy the company of the cats who roam around lazily while ordering a cup of coffee or chai from their menu. You can munch on home-baked cakes, sandwiches, teas, coffees and other beverages. Insider Tip: This also functions as a co-working space. This old favourite is a hit with early morning risers. They offer a large selection of breakfast items, including omelettes, sausages, puffs, tea and coffee, all done in the Parsi style. And if you’d like to start your day on a sweet note, they got a large pastry and biscuits section that you can dunk into your tea. It can get crowded, so try going there off-peak hours. Insider Tip: Their mawa cakes are city-famous! This is one of the most popular spots for a typical (and reasonably priced) South Indian breakfast. With an extremely relaxed vibe and simple seating, this is your go-to place for staples such as all-day masala dosas, idlis, vadas, upma and piping hot cups of filter coffee. Insider Tip: It can get crowded, but the crowd moves fast. While this breakfast joint doesn’t have any seating area, you can pack your food to go or simply use the high tables, alongside the bakery. They are open early in the morning and so is a great eating option after an all-nighter. Some of their stand-out items include their cutlet pav, chicken puffs, mawa cake and rolls. Insider Tip: The counter can get crowded but it moves fast. There’s nothing quite like the combination of brun maska (hard bread and butter) and Irani chai. This small café is very low key but quaint in its décor. It’s pocket-friendly and offers breakfast items such as kheema ghotala (mince and egg cooked together), omelettes, fried eggs and lots of other snack items. Insider tip: Here you’ll find the iconic Pallonji’s Soda in all flavours. This local eatery is famous for their hot and crisp samosas. But that’s not all that’s good here. If you’re craving a wholesome Indian breakfast, then dig into their Chole Bhature – it goes well with their creamy lassi. Insider Tip: It does get crowded here so expect to wait at least 15 minutes to get a table. If you’re looking for hearty breakfast, then this Keralite joint will tick all the boxes. With a relaxed atmosphere, they serve both vegetarian and non-vegetarian food. Dosas, appams, idlis, medhu vadas, puri bhaji are all available as early as 6 am. If you’re looking for something more substantial, try the egg roast with paratha. Insider Tip: Do try their banana fry with coffee. 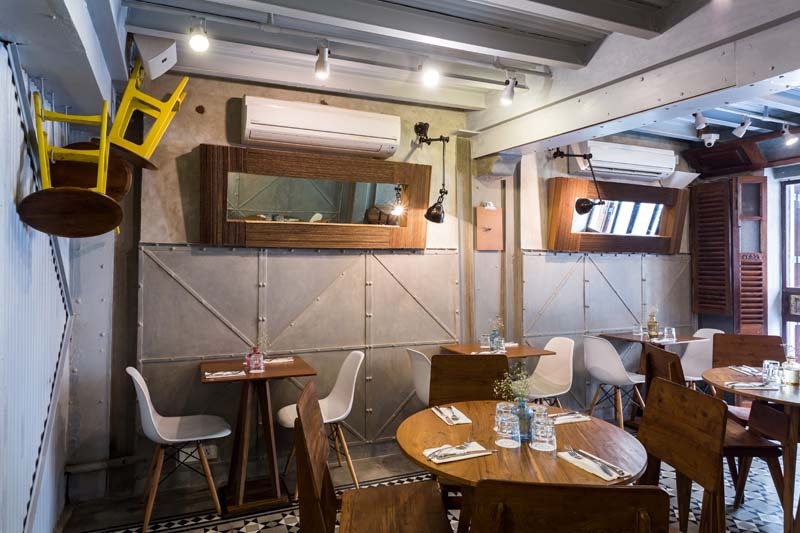 This cute little home-style café has two outlets – out in Kala Ghoda and a new one in Bandra. It serves vegetarian and eggs, with healthy alternatives including greek salad omelette and cloud omelette. A must try here are their turkish eggs, French Toast and pancakes. Insider tip: If you want a grab and go option, ask for their Breakfast in a Bottle shake – it’s delicious! If you’re the kind of person who needs a good cup of tea in the morning, this is the breakfast spot for you. With a wide selection of green, black and local teas, this cute café has 14 outlets across the city. And they’ve got a whole range of food to accompany your tea – the strawberry waffles are a must try when the fruit is in season. Insider Tip: They’ve got American and Indian breakfast trays that are perfect for a complete meal. For a reasonably priced and filling breakfast, stop by at one of the three Candies outlets in Bandra. They have a moderate selection of juices, coffee and tea, but their breakfast options are good. Choose from eggs (including akuri), sausages, French Toast and fruit bowls. Insider Tip: If you visit their big Pali branch, do stop by the store in-house to pick up a few trinkets. 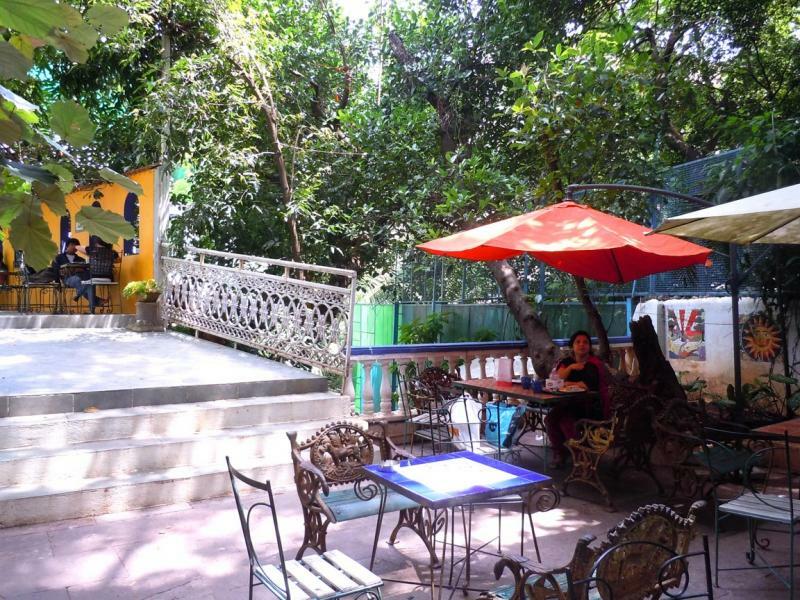 This BKC outlet is done up like an urban garden with huge plants, outdoor seating and quirky lights from Chor Bazaar – handpicked by the owners. With a focus on organic and vegan food (look out for the rabbit symbol) you’ll find Instagram-worthy vegan smoothie bowls, gluten free walnut & buckwheat cake as well as fresh cold press juices, coffees and shakes. Of the new restaurants, this is one of the 20 best breakfast places in Mumbai. Insider tip: The Pink Vegan Bowl with raspberry, banana and pineapple and topped with or pumpkin seeds, chia seeds, roasted coconut flakes, cocoa nibs etc is a great pick me up. 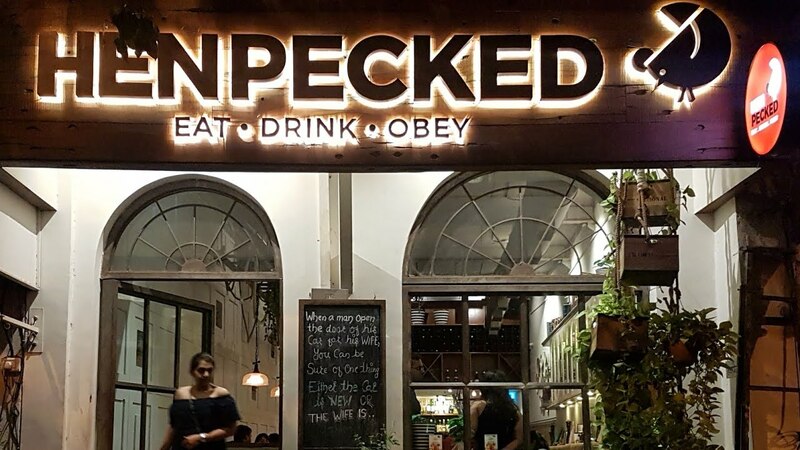 This South Mumbai spot celebrates the farm to table concept to encourage Indian farmers. They use the rich local produce grown and served fresh in the form of delicious preparations such as buttermilk waffles, truffle scrambled eggs and pancakes. They have a good selection of tea and coffee as well, and their cappuccino stands out. Insider Tip: They have a Sunday brunch that’s good value for money. Bagels are such a satisfying breakfast option and no one does it better than these guys. This casual eatery (pets are welcome, too) offers a good selection of coffee, tea and juice (do try their apple, beetroot and carrot) as well as our favourite – an all-day breakfast. Items worth trying include the chorizo omelette and sorpotel and eggs. With a vibrant décor and easy going vibe, this restaurant has become a favourite breakfast spot. They’ve got a number of breakfast options such as waffles, eggs and pancakes, toast with fun toppings as well as healthier options such as their smoothie bowls and feel-good juices and smoothies. Insider Tip: It can get crowded on the weekends, so try to book a table in advance. While you may be familiar with this club, it’s daytime avatar is equally enjoyable. They’ve got tasty options such as the Spanish omelette as well as Parsi-style Akhuri with Malabari parothas. They also focus on regional flavours with the Xacuti Omelette Curry, Thela Sandwich and Millet Upma with Kundapur style Ghee Roast Chicken for those who love a spicy brekkie. There’s also a breakfast burger for those who want to really sink their teeth into something. Insider Tip: The outdoor seating section is especially lovely in the morning. With its light wooden furniture and natural light pouring in, LPQ makes for a great place for a relaxed breakfast. It’s also a popular spot for the working crowd and is bustling through the day. Good options to start your day with include their tartines, open sandwiches and fluffy croissants. They make a mean cup of coffee too. Insider Tip: Their baked items are great to pick up for on-the-go. The beautifully designed space is worth visiting for its ambience alone – the breakfast is an added treat. They offer great options for those who are health conscious with a focus on vegan, gluten-free or dairy-free items. From house-made granola to gluten-free crepes, their menu does not disappoint. Insider Tip: There are only 10 tables here, so try to come off-peak hours. With all white interiors and a peaceful al fresco eating section, EATC is a popular breakfast and hangout out a spot in the city. They’ve got a large selection of eggs, sandwiches, sausages, salads and beverages on offer. It’s ideal if you’re in a large group too. Insider Tip: Their muffins, croissants and pastries are worth trying. Start your day in a healthy way at this bright café. They’ve got a number of gluten-free and vegan options here are well as pretty smoothie bowls. Their eggs are another great option. A must try is their perfectly runny poached egg served with avocado and line. You could also just grab a simple breakfast of a cookie and a piping hot cup of coffee here. One of the more expensive breakfast places in Mumbai, but also worth it if you watch what you eat. Insider Tip: There isn’t too much parking in the area so we suggest you leave your vehicle behind. So, there you have it, people! Our 20 picks of the 20 best places to get some breakfast in Mumbai. 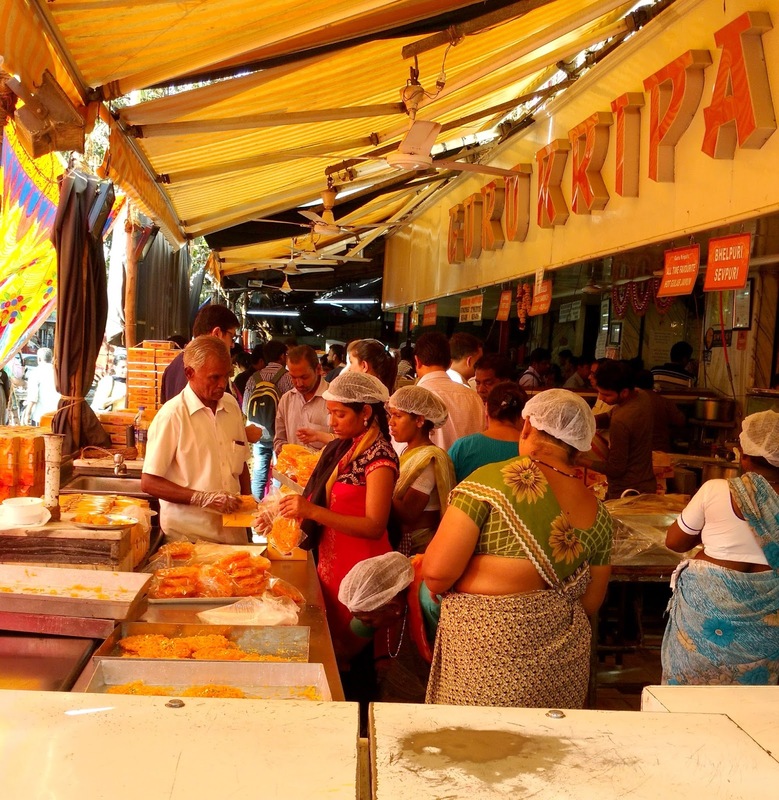 If you’ve spent any time in Mumbai, we know you probably have a list of your own that’s completely different from ours. Do let us know what it is in the comments. Happy eating!